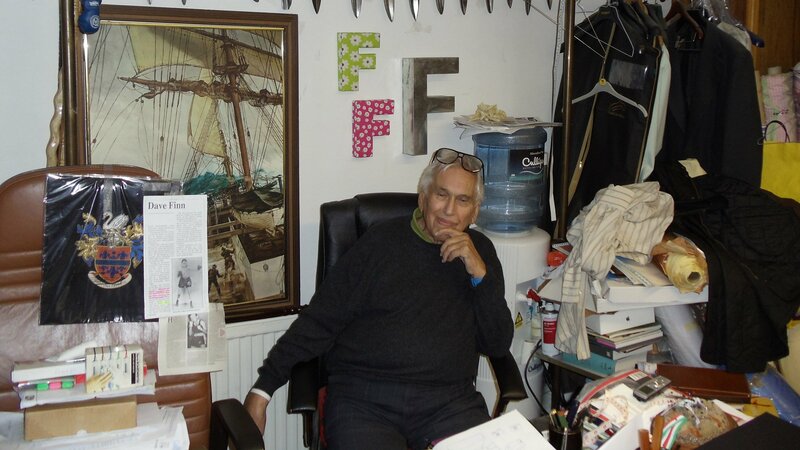 Legendary shirt maker to the stars Frank Foster, born Lionel Frank in East London in 1923, has passed away at the age of 93. Frank Foster had the honour of creating costumes for more James Bond films than anyone else has. He is best-known for making shirts for Roger Moore for all of his James Bond films as well as for The Saint, The Persauders, many of Moore’s other films and Moore’s personal wardrobe. 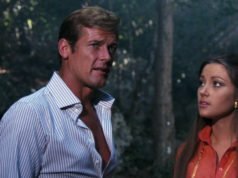 Foster also made George Lazenby’s shirts for On Her Majesty’s Secret Service and some of Sean Connery’s shirts for Dr. No and Never Say Never Again. He may also be responsible for Sean Connery’s shirts in Goldfinger and for Peter Sellers’ shirts in the 1967 James Bond spoof Casino Royale. Not only did Foster make shirts for the actors who played James Bond but also for other actors in the Bond films, such as Anthony Dawson, Topol and Louis Jourdan. 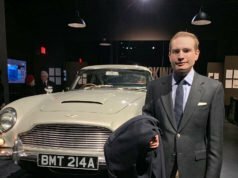 Beyond James Bond, other celebrities who visited Frank Foster’s Pall Mall shop over the past six decades include Hardy Amies, all four of The Beatles, Warren Beatty, Benjamin Britten, Yul Brynner, Richard Burton, Michael Caine, Noel Coward, Sammy Davis Jr, Errol Flynn, John Geilgud, Dizzy Gillespie, Cary Grant, Norman Hartnell, Bob Hope, Ray Milland, Gregory Peck, Sidney Poitier, Tyrone Power, Vidal Sassoon, Frank Sinatra, Jackie Stewart, Orson Welles, members of The Who and countless other famous and important people. He has dressed royal families from around the world as well as Prince Charles as a young man. He was involved with costumes not only for film but also for stage productions and made the shirts for the principals in the original West End production of Lionel Bart’s Oliver in 1960. Beyond shirts, Foster tailored robes for the classic 1962 film Lawrence of Arabia. 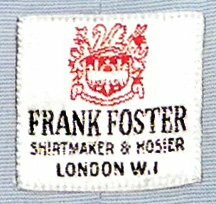 Frank Foster lived in Mayfair just a few blocks from Savile Row and operated since 1958 from a basement at 40 Pall Mall in St. James’s that was filled with hundreds of shirtings old and new and barely had space for more than a few people to work and a couple customers to sit. I visited Foster’s shop in July 2012 to order his minimum first order of six shirts as well as to learn more about the man. After I picked out six shirtings and Foster measured me, we chatted for hours about his illustrious career, what makes a fine shirt and the many celebrity clients he fitted over the years. I had the pleasure of meeting legendary Formula One driver Sir Jackie Stewart on my first visit. On my second visit to the shop six days later, Foster had my first of six shirts prepared for a basted fitting, and we spoke for another few hours. He was a gracious man who was very approachable, yet he held traditional formalities with great importance. Roger Moore sent Foster to fit Tony Curtis for shirts during production of The Persuaders, though Foster was offended when Curtis did not even offer him a cup of tea. But after all, Curtis was from the Bronx, and Foster never in his life crossed the pond to visit America. Frank Foster’s shirts were of the highest quality, made with close attention to the details that set them apart from all other shirts. Shirts in Foster’s house style are instantly recognisable from their placket with its two columns of stitching close together in the centre and from their unique collar and cuff styles. Foster was one of the innovators who brought the cocktail cuff, seen on most of Sean Connery’s shirts in his James Bond films, to attention in the 1960s. Though the cuff is known by many names, “cocktail cuff” is his name for it. Though he claims to have invented the cuff (which existed for at least over half a century before he was born), he unquestionably put his own stamp on the cuff through using a variety of shapes. 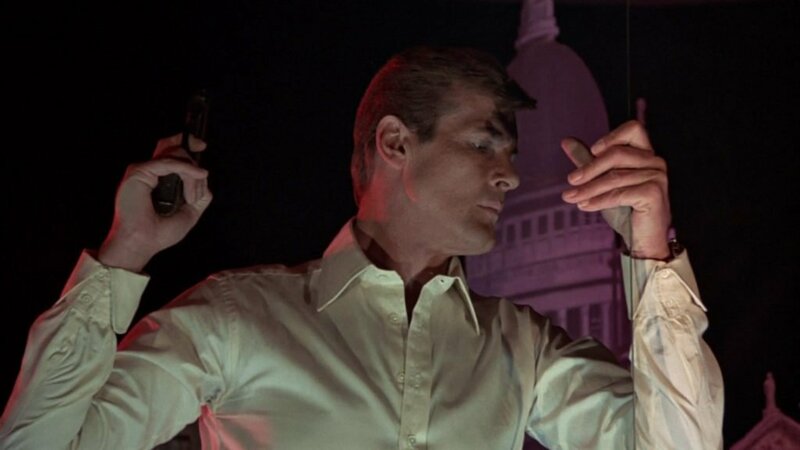 Foster also made a button-down variant of the cocktail cuff, which Roger Moore first wore in the 1969 episode of The Saint titled “Vendetta for the Saint”. Foster also set himself apart from other London shirt makers by tailoring his shirts with a closer fit than most British shirt makers traditionally did. Frank Foster will be missed, but his legacy will forever be immortalised on screen in no fewer than ten James Bond films and in hundreds of other film and television productions. The future of his shop is unknown at this moment. Foster is survived by his wife Mary, who operated the shirt shop with him. I had the pleasure of meeting him once but I did not order any shirts (which I regret now). Your characterisation of him is correct – he was kind but always knew very well what he wanted and what he did not want. I discussed shirt style in general with him – f. i. I stated that IMO a French front is preferable – he insisted on only a placket being appropriate. We did not come on terms and that’s the reason why finally I decided against an order. But of course I bear no grudge because I learnt a lot about shirtmaking, shirtings and so on even during our rather short conversation. He really was one of a kind – someone who cannot be replaced and who will be greatly missed. Sad times. Sounds like a great man besides his skill in shirt making. Hopefully his wife can bring on some more talent and continue the tradition. It would be a shame for his shop, and it’s unique style of shirt, to end with him. Hopefully his shop will keep going, huge legecy and such a unique style. Shirtmaker to the stars is an understatement to say the least. His advanced age notwithstanding, it’s sad to see Frank, a true artist and craftsman to his fingertips, go. At least, it seems, he was in his beloved studio when it happened (as they commented in Connery’s Bond’s “death” in YOLT, “he would’ve wanted it that way”). 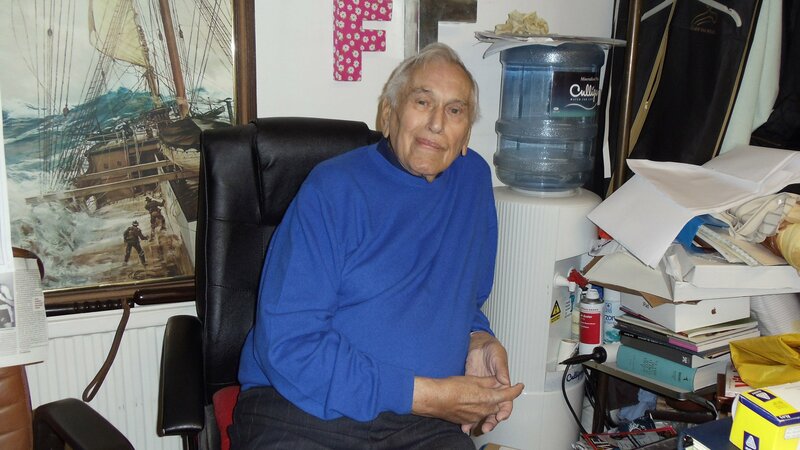 I last spoke to him about 2 months ago and he sounded frail. He had been since a fall last year. Personally, I found Frank a forthright, honourable, courteous and splendidly undiplomatic gentleman. He said it how he saw it about his clients past and present no matter what their status was. His shirts were the best quality bespoke shirts available for that price produced from materials going back as far as 75 years in some cases, all on rolls heaped up upon one another in his higgledy piggeldy workshop. All other shirts can be judged against the unique details and style of his when he was at his best. They’ll be found wanting. In our present, throwaway age of diminishing quality and when craftsmen of all varieties are becoming thinner on the ground, the passing of a man like Frank is part of the passing of an era. It’s sad but it’s the way it is. RIP. R.I.P Mr.Foster. You’ll be missed. I’m sorry to hear of his passing, he certainly seems like a master craftsman and raconteur. His work on the Bond films is certainly admirable; the ecru shirt from The Man With The Golden Gun that you’ve posted above is one of my favorites. I regret never having the opportunity to become a customer of his. All the greats are leaving us. ..frank foster, jack taylor, anthony sinclair…and that’s the reason why men look like they should get dressed with the lights on…. As a tailor, I’m truly saddened to see Mr. Foster pass. He is a true inspiration to me and I hope that I will be able to honor his memory in this industry. I raise my thimble to you, Mr. Foster. You will never be forgotten. Did his shop just close up or did he pass the torch onto anyone? His wife is continuing the shop. I’m assuming the quality is still the same? Did he have an apprentice? His wife has always been the person who primarily made the shirts, so the quality is the same. He did not have an apprentice that I knew of. Sorry to hear about Frank Foster’s recent passing. I’ve followed Frank Foster Shirts’ IG Page recently. I didn’t know they made shirts for The Beatles and Dave Clark Five and has fabrics from the 1960s and 1970s. I know that there’s a 6 shirt first order minimum. 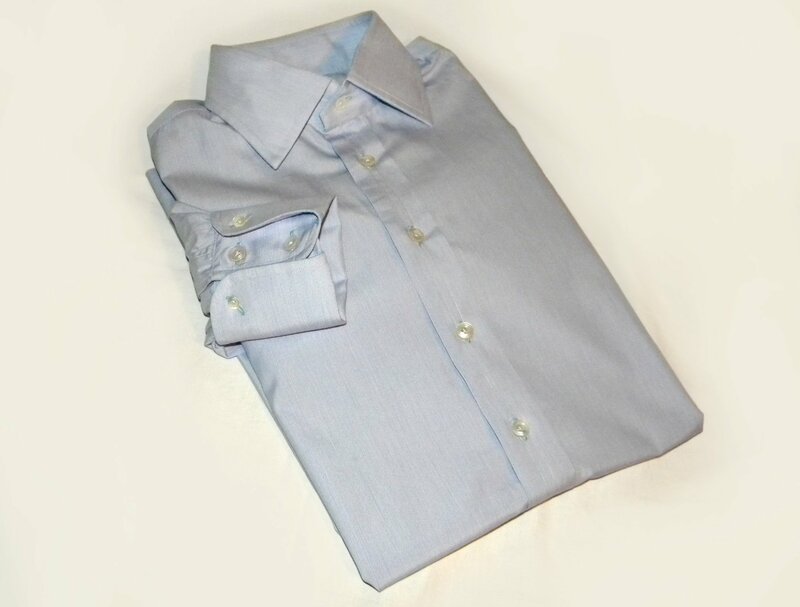 How much does Frank Foster Bespoke Shirts cost in USD and GBP? Do they make neckties too? If so what’s the minimum order of neckties? I believe they only make shirts, and I do not know how much they currently cost. I suspect they still cost below average for shirts made in London. I have an order on the way! Was Terence Young a customer of Foster’s as well? I have never heard it to be the case either from Foster or from Young. Young never appeared to wear Frank Foster shirts. He used both Turnbull & Asser and Lanvin, and said that he took Connery to both for Dr. No and From Russia with Love.